So, here we are once again at that time of the year in which we are reminded to “give thanks” and celebrate our thankfulness for good fortune, blessings, and successes; perhaps, if we are courageous enough, even for our daily challenges and struggles. I wonder, however, if before we proceed with this culturally sanctioned thankfulness, we may need to consider a rather disturbing and likely unwelcome question: To what extent are we, as Americans, even capable of truly giving thanks and being genuinely thankful for anything at all? I’m certainly not asserting or implying that we as individuals do not experience meaningful gratitude; indeed, I’m sure there are many things in our lives for which we really are grateful. What I am suggesting is that as a collective society and culture, we have apparently become unwilling, and therefore unable, to authentically experience and express thankfulness. The more precise question is this: can a culture that has become primarily defined by a relentlessly pervasive sense of entitlement manifest true thankfulness and gratitude? While most of us as individuals are likely thankful for something and there are, of course, cultural sources of sincere gratitude, I believe that American society has come to represent entitlement and that as individual Americans, we are socially conditioned to be entitled. Is there a legitimate counter-argument to this observation? If we honestly look deep within ourselves and our surrounding culture, beneath the shallow veneer of polite tolerance toward inconvenience, are we not confronted with an insatiable demand for all that we deserve as well as for “justice” when it is denied to us? For the reality of our cultural condition is that not only are we generally not satisfied with the fundamental material necessities and comforts of life, but we are also increasingly dissatisfied and unhappy when we cannot acquire or maintain the “luxuries” that we believe are necessary to our human existence. Whether these be in the form of the latest technological gadget, newer car, bigger house, designer clothes and accessories, expensive dining and vacations, social prestige, a work promotion, the perfect “ideal” relationship, etc., we act as if an injustice has occurred if they are kept or taken from us. This behavior is based on the belief that in addition to the basic needs for living, Life owes us these things, that we have an inherent right to them, and therefore feel cheated and violated if we don’t have them. 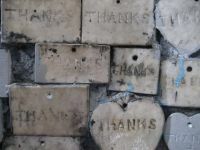 The problem is that in observing my own and our collective behavior, what I often don’t see is genuine thankfulness and gratitude, not only for the many non-essential luxuries that we enjoy but also for our most foundational living needs. What I do not want to see or acknowledge, but what is seemingly much more often present, is an entitlement-based whining and complaining about the many things in our lives that we don’t like and with which we are dissatisfied, the outrage and deep offense at being so unjustly treated. It isn’t fair or right that I can’t afford that unnecessary clothing item, that larger screen TV, that upgraded technological device, a more expensive house, a new car, or that I have to deal with that home maintenance project, have my car serviced, work an inconvenient and undesired schedule, put up with the absurd drama and issues of other people, etc. How dare Life present me with these difficulties, problems, and inconveniences! How dare Life not provide me with exactly what I want! Rather than being thankful that I am not homeless and unemployed, without food to eat, clothes to wear, a car to drive, technological luxuries to enjoy, or social/relational support, I take the things I do have for granted and resent that they are not perfectly as I want them to be. For it isn’t enough that Life give me just these types of things, no, Life must give me whatever I want and believe that I need. I have an innate and inviolable right to whatever I may happen to want; Life owes it to me and thus I am entitled to it. The fatal flaw within this “entitlement logic” is, of course, that it simply is not, and in fact cannot, be true. Life, or Existence, does not owe us anything at all, not even the most basic material needs and comforts, let alone the many more non-essentials that we demand beyond them. We enter and exit Existence with nothing; we neither bring anything with us at birth nor take anything with us at death, and nothing that we acquire in between do we provide completely by ourselves. We are by nature finite and contingent beings who are to some extent dependent on external sources for virtually everything in our lives and cannot legitimately claim any rights based on absolute self-sufficiency. It follows, then, that whatever we have, regardless of our own efforts, has ultimately been given to us by Existence and therefore is, by definition, a GIFT. As corny and cliché as it may sound, I believe that such a perspective has the power to transform our entitled lack of gratitude into authentic thankfulness. For, once we realize and begin to understand that we are not entitled to anything we are free to be thankful for everything. The compulsive drive toward entitled complaining and resentment is broken when everything that Existence provides is accepted as a gift that we don’t deserve and have no right to demand. Then, and only then, are we able to experience and express true gratitude and thankfulness. It is timely that I have just finished another of many readings of one of my most favorite books, Viktor Frankl’s Man’s Search for Meaning (1959), which I believe is extremely relevant within this context. In his insistence that we are not in a position to question Life but Life is always the one questioning us, there is an urgent call toward a responsible and thankful response to any life circumstances, however difficult and challenging they may be. When I find myself complaining about and ungrateful for frustrating circumstances that I do not see as gifts, I try to remember Frankl’s example and message. I remind myself that I am not a prisoner in a concentration camp facing incomprehensibly horrifying living conditions, and that if Frankl in such a situation was able to see gifts for which to be thankful then surely I can learn to gratefully accept the challenging gifts that Life presents to me. During this Thanksgiving, let’s relearn how to truly give thanks, overcoming our own individual entitlement and inspiring a growing collective gratitude toward the gifts of our human existence!